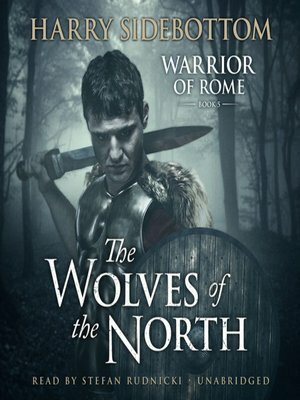 In the fifth novel in Harry Sidebottom's acclaimed and bestselling Warrior of Rome historical fiction series, Ballista returns to undertake yet another epic mission—while the Roman Empire reels in chaos around him. In AD 263, the Roman Empire is close to turmoil as violent uprisings threaten to shatter the fragile balance of power. In the north, the tribes are increasingly bold in their raids on the Imperium. Ballista must undertake his most treacherous journey yet. He must face the Heruli—the Eaters of Flesh, the Wolves of the North—the most brutal tribe of them all, and try to turn them against one another. As Ballista and his retinue make their journey, someone—or something—is hunting them, picking them off one by one, and leaving a trail of mutilated corpses and terror. Ballista is in a strange land, among strange people, but is it possible that the greatest threat may come from within his own circle? Renowned for their skilled blending of action and historical accuracy, Sidebottom's Warrior of Rome novels take the reader from the shouts of the battlefield to the whisperings of the emperor's inner circle. Rich in detail and punctuated by harrowing action, there's no better way to transport yourself back to the days of the Roman Empire.